Rinat Ibragimov is known as Principal Double Bass of one of the world's leading orchestras as well as a soloist and teacher. He studied at the Ippolitov-Ivanov College with Georgy Favorsky and at the Moscow Tchaikovsky Conservatoire with Professor Eugeny Kolosov. He won the first prizes in the All Soviet Union Double Bass Competition (1984) and in the Giovanni Bottesini International competition in Parma, Italy (1989). Between 1991-1997 he was teaching the double bass at the Moscow Conservatoire, Moscow Conservatory Music College, Central Specialist Music School. His recordings include a CD featuring the music for double bass by Giovanni Bottesini (released in Paris in 1995), a CD with works by Russian composers recorded with “The Soloists of the Bolshoi Theatre” (released in Moscow in 1991). Having received his training as a conductor with Dmitri Kitaenko and Igor Dronov at the Moscow Tchaikovsky Conservatoire, Rinat was invited to become the conductor and artistic director of the “Moscow Instrumental Capella”, the post he held between 1995-1998. He still regularly collaborates with them both as conductor and soloist. 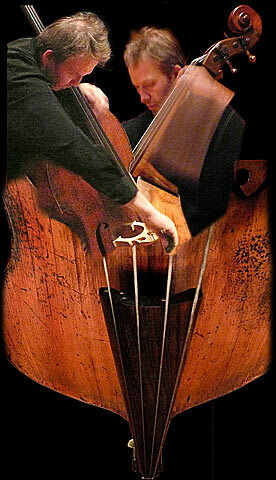 Since 1996 Rinat has been principal double bass with the London Symphony Orchestra. He is also professor at the Guildhall School of Music and Drama since 1999 and professor at the Royal College of Music since 2007.